'Time flies' is a common phrase that's thrown around a lot, and rightly so. On a week's ski holiday, time goes way too fast. All of the pistes you wanted to ski, the hot chocolate stops, apres ski parties, shopping for the ultimate ski equipment in resort, and catching up with friends in another valley - all have to somehow be squeezed into a week. And although I don't expect to have any sympathy here, the whole ski season tends to fly past too quickly as well. It seems to me that the best time to catch up with things is either just before the winter gets going, or just as it winds down in Spring. And this is what happened last season at Springtime. 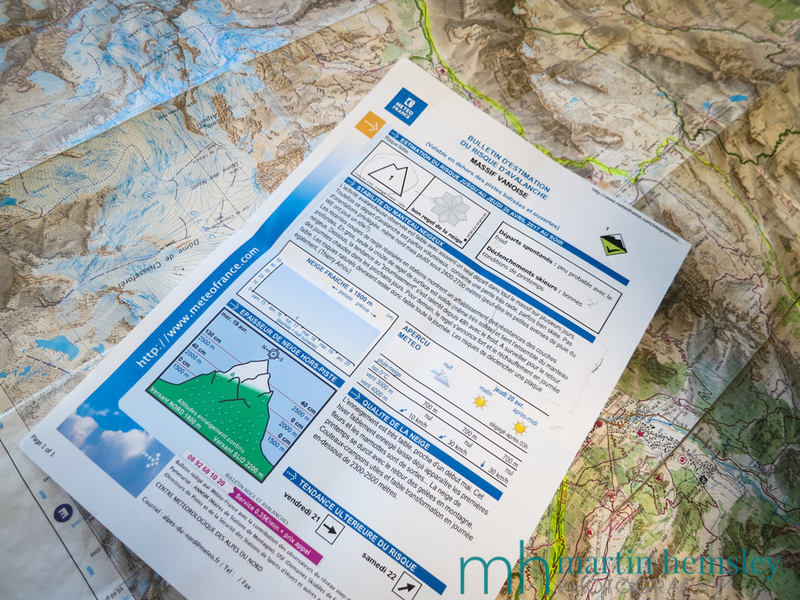 As a BASI (British Association of Snowsports Instructors) qualified ski instructor and licence holder, it is necessary for me to attend a relevant CPD (Continual Professional Development) course in order to continue to hold a valid licence. Trying to organise such an event can take Biblical efforts, but myself, Ben and Gary were able to secure the services of Neil Milne and set a date. 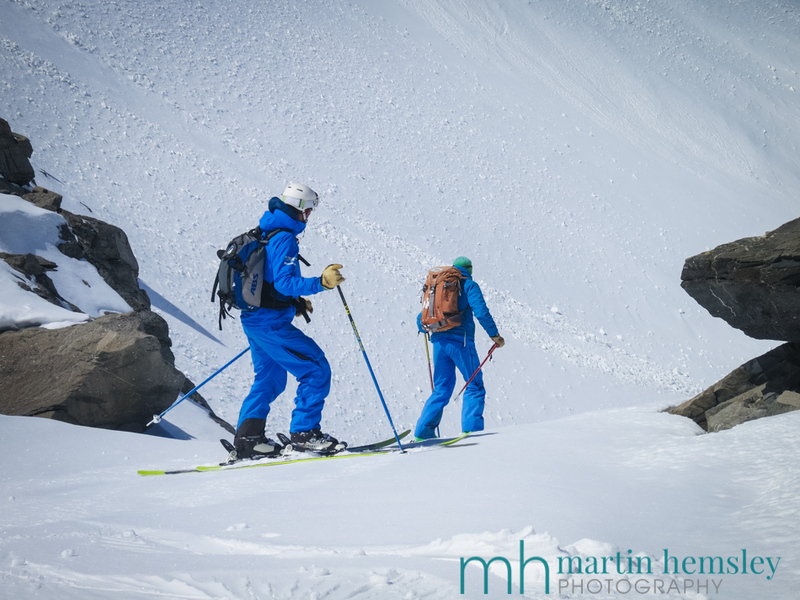 Neil is also a highly qualified ski instructor, but specialises in off-piste. 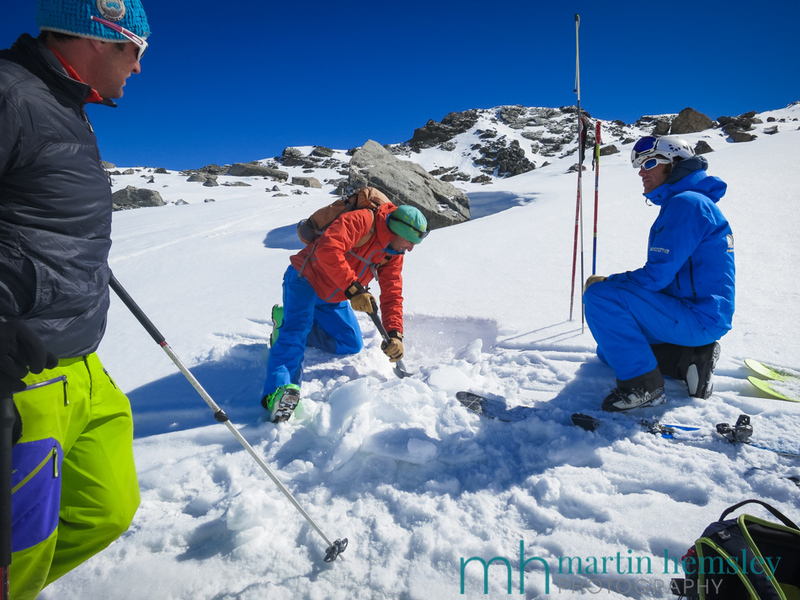 In fact Neil works for BASI at times each winter and trains aspirant ski instructors attending the different rigorous off-piste safety modules that have to be passed. 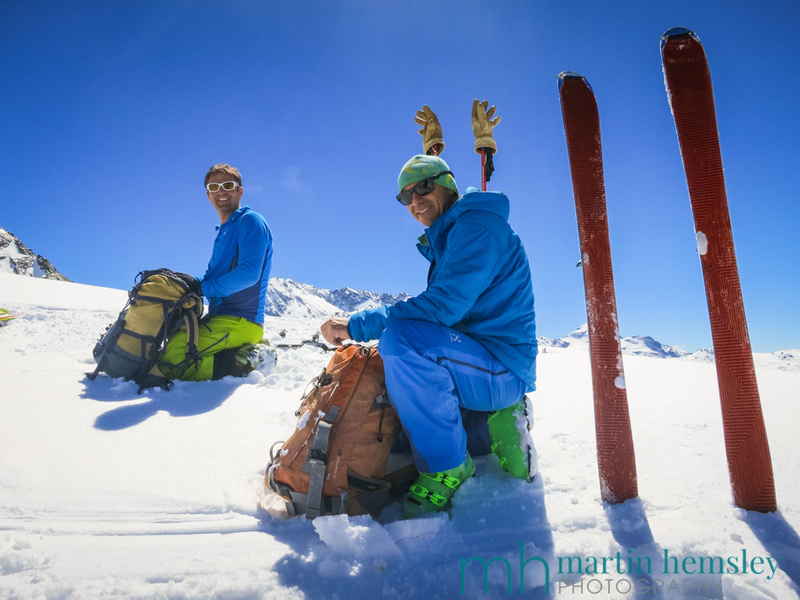 Neil is known and respected in the area as being very knowledgeable, and he also works as an accompagnateur (an International Mountain Leader) during the summer months leading hiking groups across the Alps. 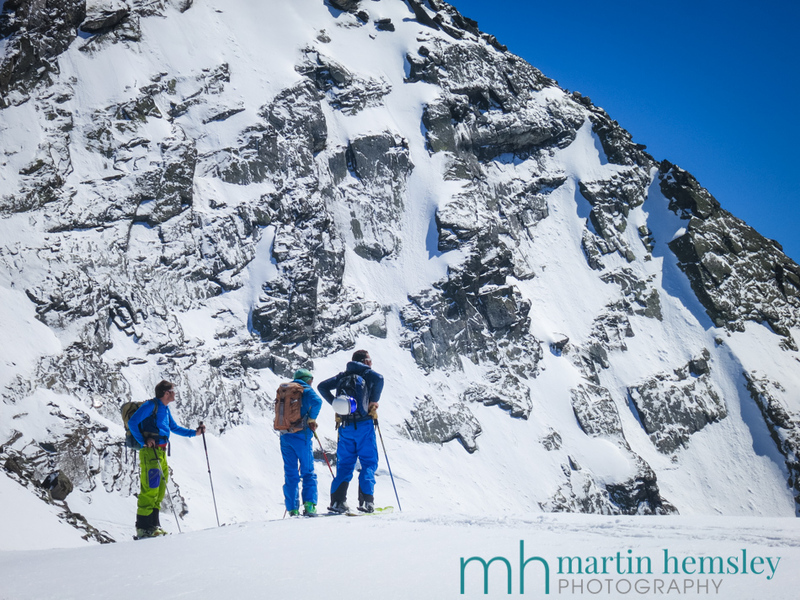 Our CPD with Neil was a refresher of the European Off-piste Security module, a chance to consider updated techniques and a chat about the latest products on the market that can help with off-piste safety. Oh, and a bit of time going for a walk (with skins on the bottom of our skis), a quick dig of a snow pit, a few avalanche beeps searches, a ski and a good old chit chat. Neil at the start of digging a snow pit. 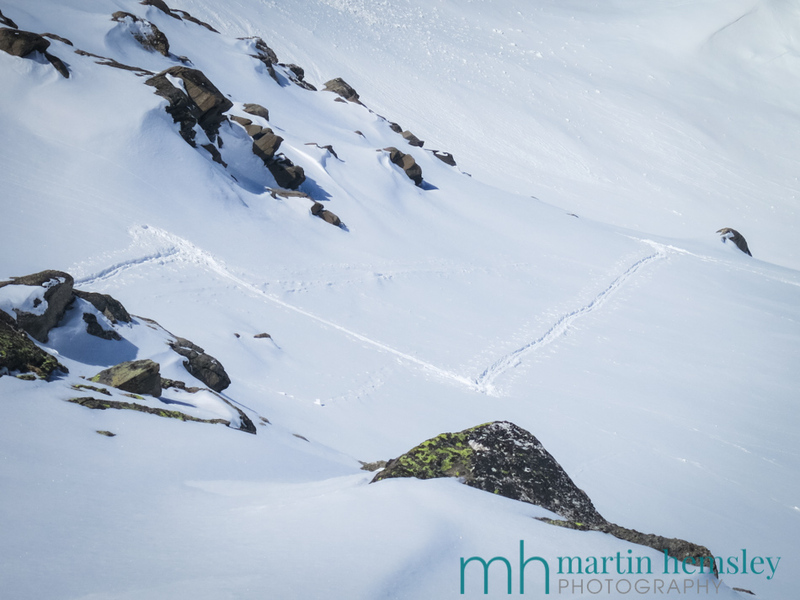 There are many advantages of venturing away from the main ski area - the scenery, the solitude, the feeling of being closer to the mountain, and seeing the occasional foot print! 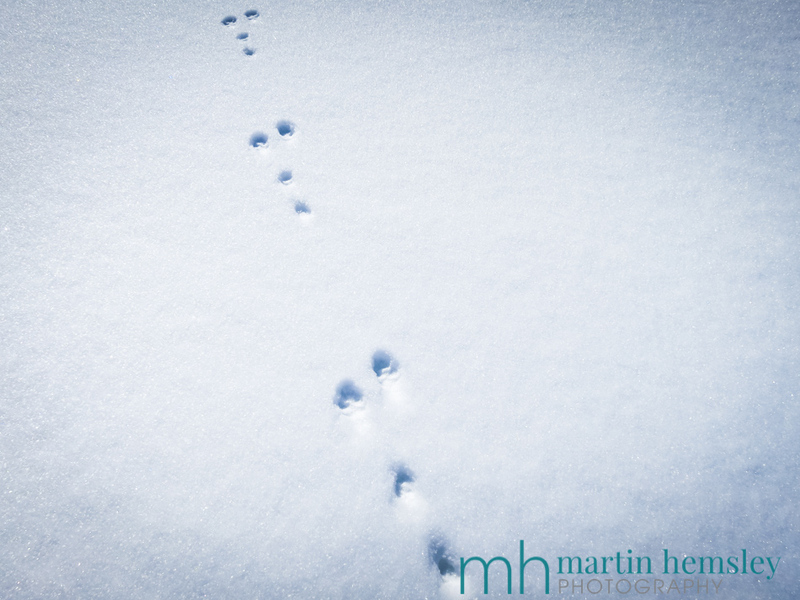 The pattern of these prints suggest they came from mountain hares. It's very common to see them when you are on chairlifts looking down onto untouched snow. It has to be said that if we didn't have to do a CPD day, the four of us most likely wouldn't have spent the time together - actually I know for a fact we wouldn't have done. Having said that, and I don't know about you, it's just brilliant gaining knowledge from peers. Whether it's learning new things, or refreshing your mind and pulling out facts that were in the back of the brain somewhere, it was a real buzz. 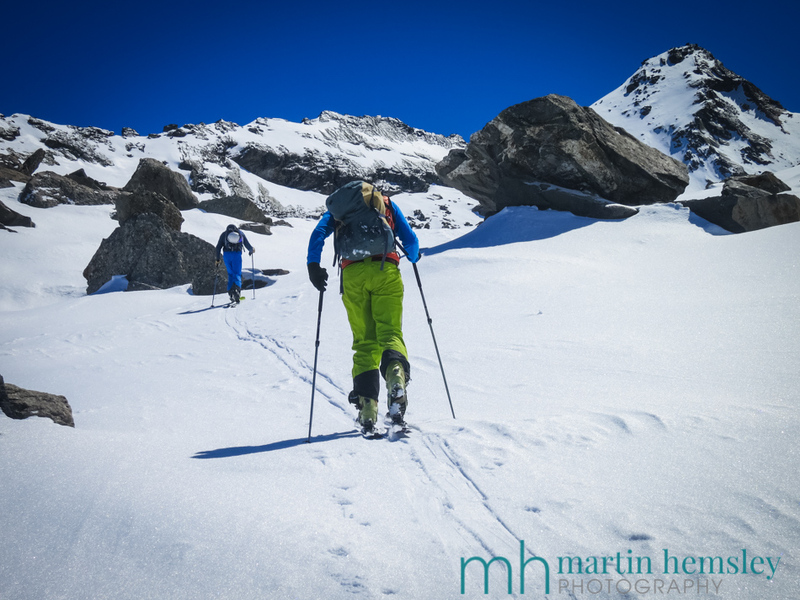 We even managed to find some nice Spring snow, which was a real treat compared to some of the 'educational' snow that we had all experienced towards the end of the season. I certainly benefited from spending time with Neil, Ben and Gary. 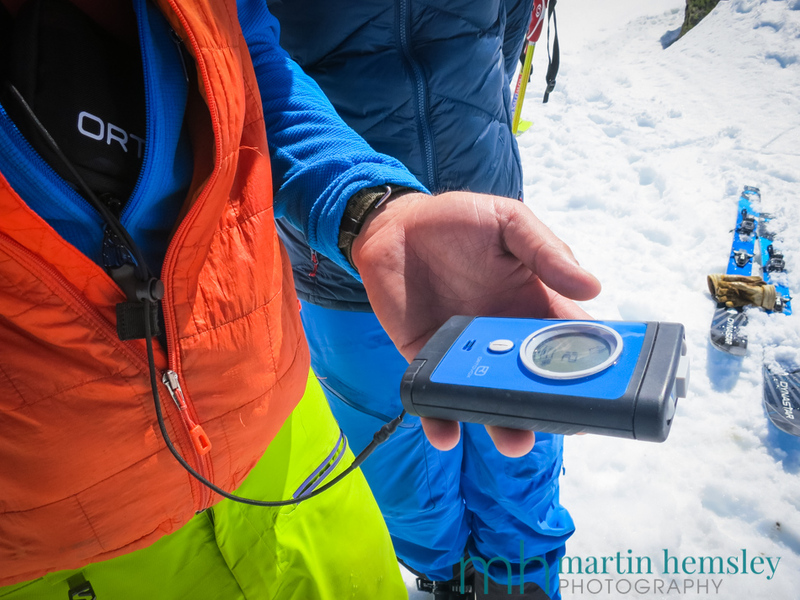 Towards the end of the session, we practised our beeps search, or to put it another way an avalanche transceiver search. 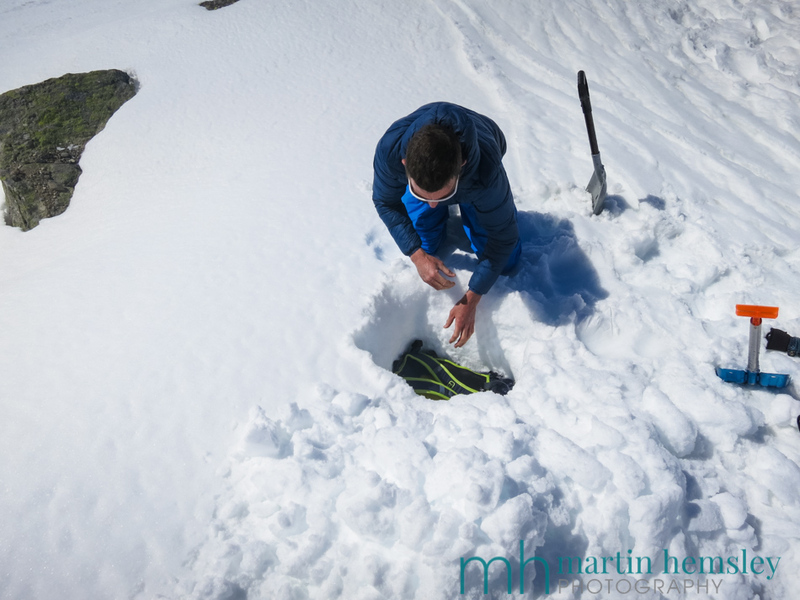 Here we have Gary burying my rucksack deep into a snow pit. 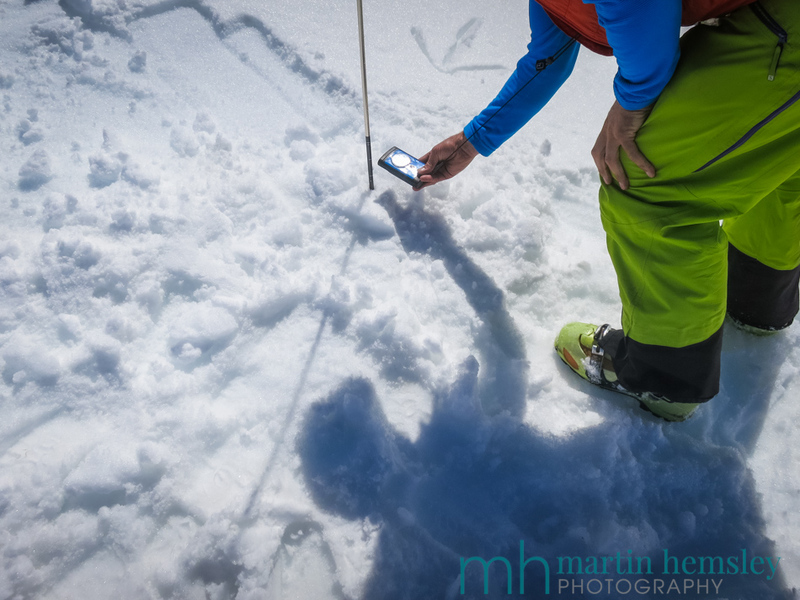 Inside my rucksack was a spare transceiver switched on as transmitting a signal, simulating a buried skier. 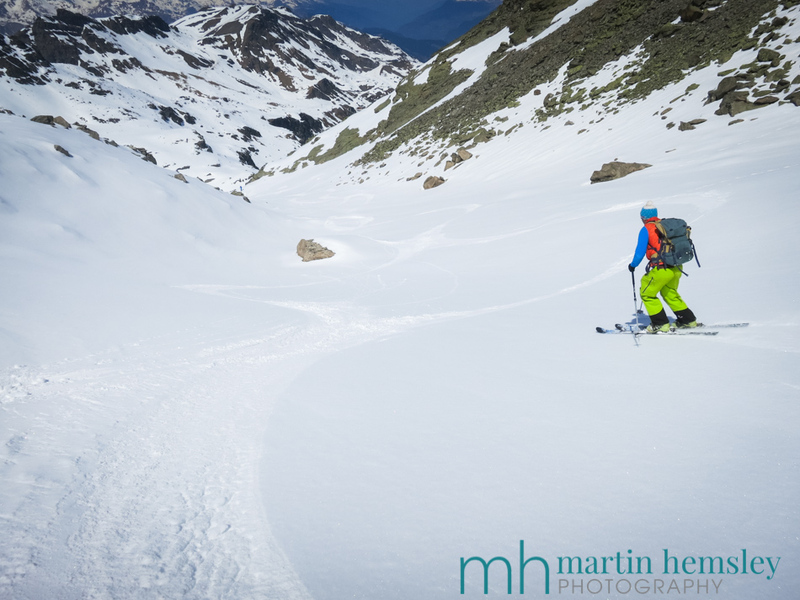 This is such a useful skill to polish and keep up to speed for anybody that skis off-piste, regularly or not. It was a great day, and flew by quickly. So did the rest of the Spring before heading back home. In fact, the summer has flown by hasn't it? So much so that it will be only about a month before heading back for the start of next winter. I wonder if that time will fly by as well? I hope you've enjoyed this post, fingers crossed it wasn't too overly technical. Feel free to share away on social media by using the buttons on this page. 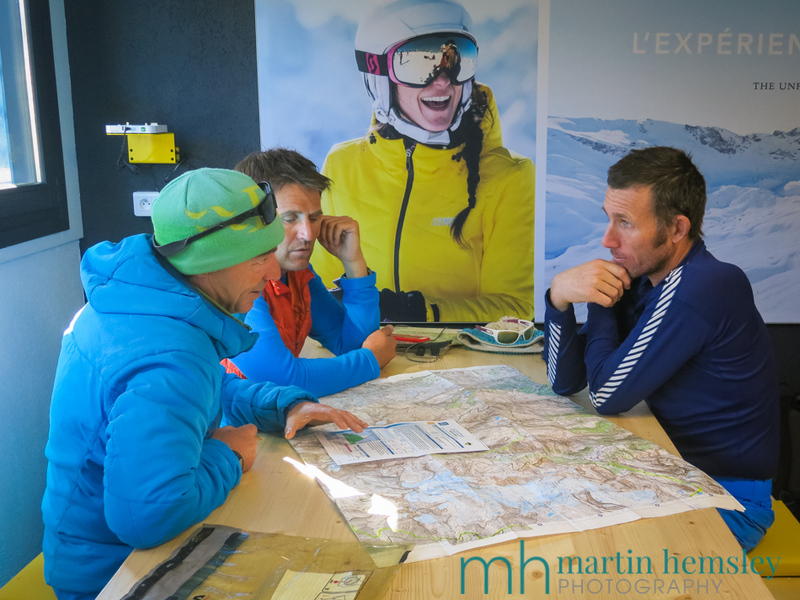 If you are thinking about skiing in Méribel or Courchevel this coming winter, and would like a ski lesson or two, please to let me know and I can check availability. 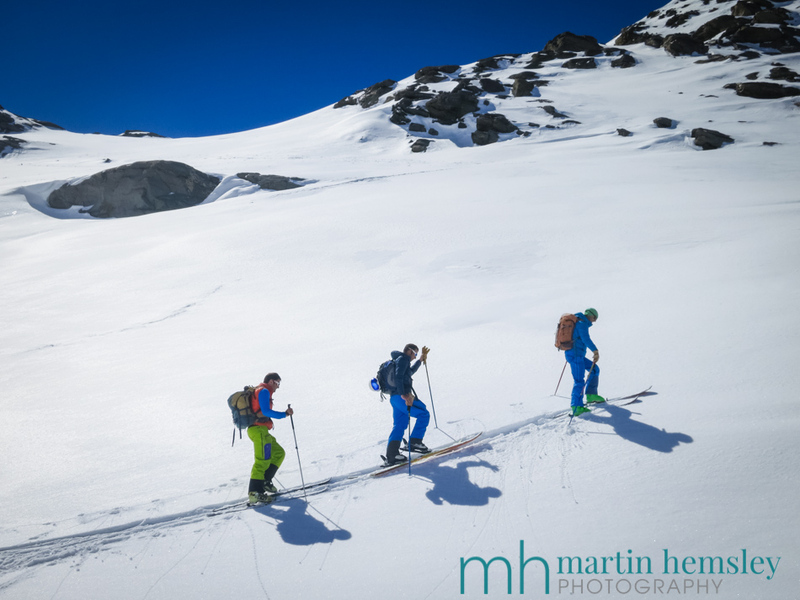 Don't forget to start thinking about fitness for skiing, before you know it, your departure date will arrive. Time flies you know !?! Martin.